Planning on taking my Amazon out when it's done but I've been autocrossing this since 2009. Picture of an Amazon racing down in South Africa! Cool pics. It's less that a month until the new season starts. A couple of videos from a few years back. My wife's 965 at the AutoX. IPD suspension and race tires. Older video of tire lift on my 122s. Stock suspension except for IPD Front swaybar. It was running 15x7" rims with used Goodyear Racing Eagles. It was powered by a B20 punched to 2.1l with IPD Street Performance Cam, SU carbs, and a ported B20F head with 0.250 taken off it. 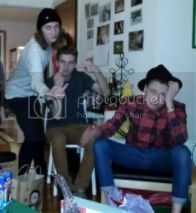 Last edited by jwernerny; 04-19-2019 at 03:20 PM..
John, thanks for sharing! Get's me amped to get mine out on a course when I'm done. I have nearly the same specs as you but with single rate lower springs and Bilsteins. I'll be running sticky tires from a buddy who does vintage racing and is going to throw me his take offs. 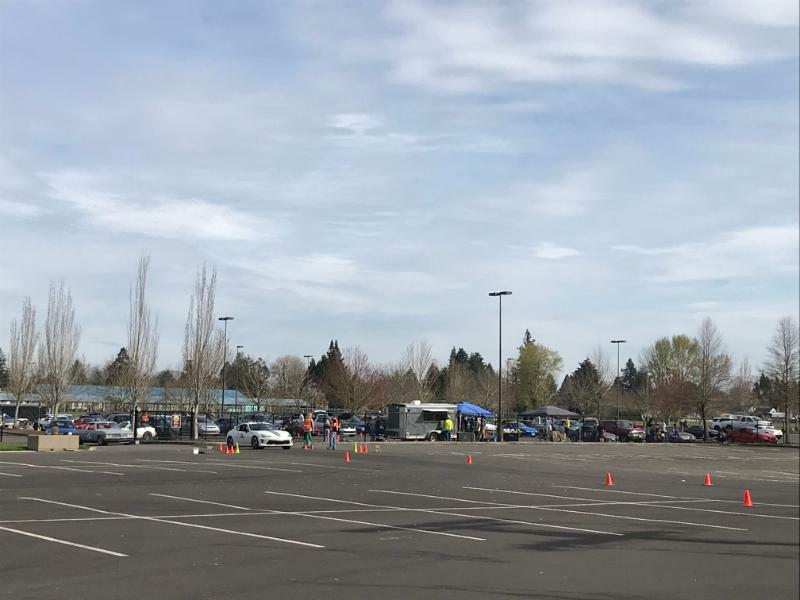 The 2019 season started with one of the clubs I run with Sunday, 3-31-19 with an event at the State Fairgrounds. That is a large piece of pavement. It's rough in places, yet, allows for some fun courses to be set up. We had about 100 entrants during the day. 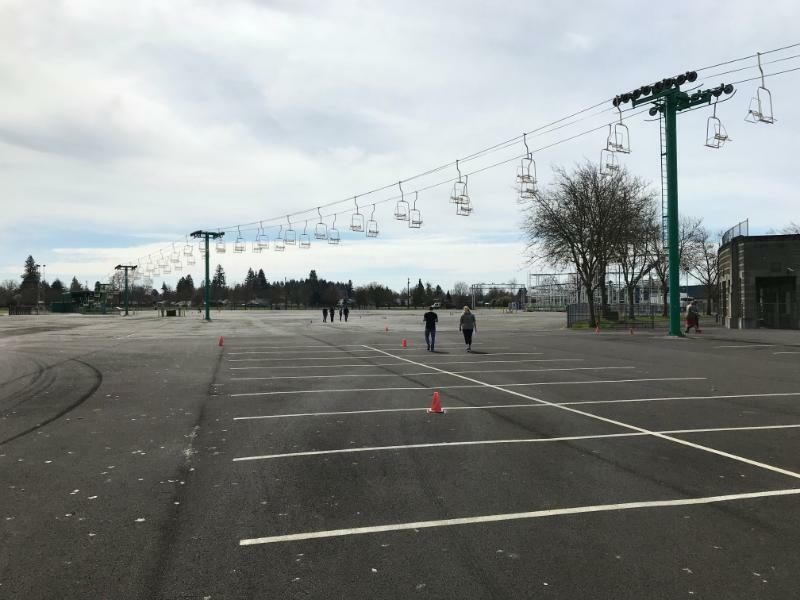 I didn't think to take pic of the parking lot when everyone was there. It was a great turn out. I finally got to try out the new to me, 2017 Mustang GT I bought back in January. This thing rocks. I pretty much hosed my first run because I had no idea how responsive that 5.0 really is. It accelerated so quick down the slalom I missed going around one of the cones and then went the wrong way around the next one as well. I could tell I was off my line, however, I had no idea where I really was for a moment there. The next three runs went much better. The video is of my last run. I was starting to get to know the car. I'll see how I placed in the big picture later this week when the club posts the "Official" results. I know I won my class. I think when the times are paxed I will be in the top 10, possible, top 5 times of the day. There were very few cars that beat my times yesterday. 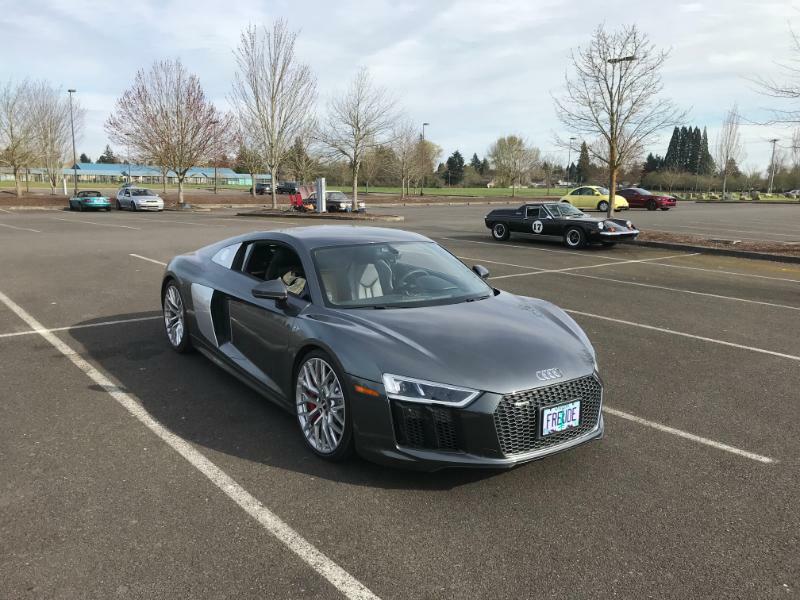 The Audi belongs to our club treasurer. He hasn't learned how to fully utilize it yet, however, it is fun to watch. It accelerates like a bolt of lightening. My 4th and final run. Yes. It is a 1974 Europa and the owner knows how to make it dance. He was 6th fastest car at that event. I love watching that car autocross. Your Mustang is awesome. Emjoy! I also like that the Europa and a Corvair are out there. Classic goodness. Thanks. I have another event coming up this coming weekend with a different club. It should be a blast. Next time I run with this club I will remember to take a picture of the lineup. We definitely have some classic cars out there running with us. There are two Corvairs and 3 Datsun roadsters, even a Renault Turbo sedan. Some sort of a special model that was brought over from Europe. It’s pretty darn cool. One of my friends runs a 242 with this club. He does well with it. I think I have a video of it on my computer drive. I’ll have to post that up. This weekend I ran the Icebreaker event which is the first event of the year with the Emerald Empire Sports Car Club. Icebreaker 53. 53rd year of hosting this event. This year was the first year in the history of the club the event was canceled on the weekend it was supposed to be held due to extreme weather. 19 degree morning temperatures on March 2 & 3 when it was supposed to happen. We got good weather. 60 degree daytime highs. It sprinkled Saturday in the afternoon towards the end of the race day. This track is brutal when it gets wet. There is so much oil in the pavement from years of paved oval sprint car racing it is like racing on ice when wet. Thank whatever we didn't get rain during the racing portions of either day. 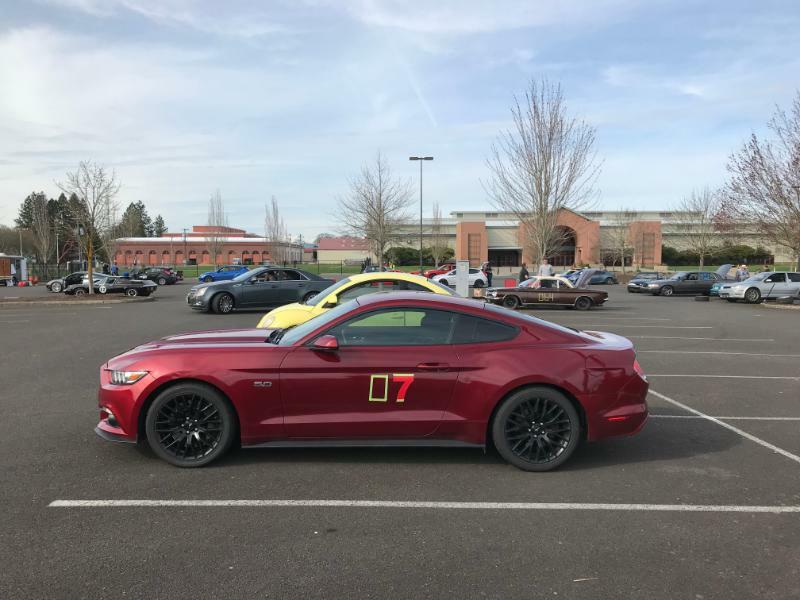 EESCC is probably the most efficient autocross club in the West. The put on great events that run like a Swiss watch for the most part. Here are some videos from this weekend. Saturday was a learning curve for me in the GT. The car has the power to spin the tires at speed. It took me awhile to really get into the groove with it. My SO came with me this weekend for the first time in years. She used to race with me and is considering taking it up again. She went with me in the GT on my second run Saturday after I had an idea how I was going to drive the course. That run terrified her. I was feeling a bit more confident in what the car would do and was really pushing it. It made for a bit of a rough ride. She didn't make any more runs with me Saturday. By the end of the 5 runs I had a much better idea how to utilize the car. Sunday, I told I would make an easy run to find the best path though the course. She decided to ride along again and loved it. She made one more run with me and then let my friend that stopped by jump in the car for the last three runs. She used my Iphone to take the videos of the runs. She did a great job, IMO. By Sunday, I was getting to know the GT and was putting down some fast times. The cars that used to beat me in my Camaro SS are now taking 2nd, 3rd and so on. One of those is the M3 in the video. I love that car. It is gorgeous and would be an awesome car to own/race. I took F-Street Sunday by 1/1000 of a second. That is the closest finish I've even been part of. I beat my nemesis in his Mustang GT. He has been beating my times with his car for the last 3 seasons. Wild ride 2nd run Saturday with my SO in the passenger seat. The onboard Nanny would have taken over if it had not been unplugged. This is my 4th run on Sunday and my fastest raw time. Not the winning run. I smacked a cone at the entrance to the box after the sweeper. The same run from the roof mounted Go Pro. One of my competitor's cars, the 2013 M3. The local BMWCCA chapter rented a private track for a track day. It's not one of my Volvos, but my basically stock '02 WRX Wagon on stock tires. I used Torque for android to take the video with my phone. The format was one warmup lap, a hot lap, then a cooldown lap. That looks like a blast. Is that track normally used for cars, or, carts? 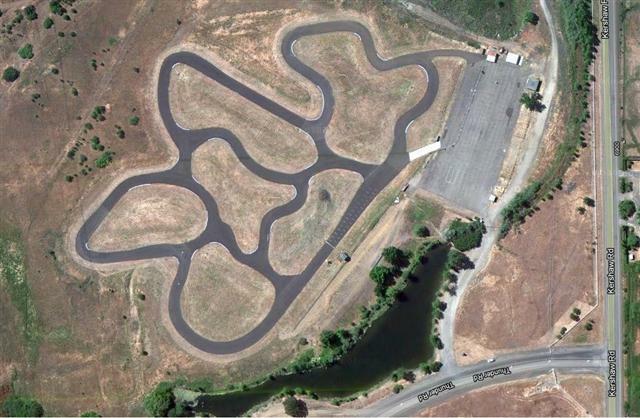 We have 2 scaled down road race courses here in Oregon that some of the clubs use for Autocross events. I've only been on the one in Medford known as the Jackson County Sports Park. With a quick enough car you can hit approximately 90 mph in the short straight away before the banked sweeper. The only caveat is if you don't stick to the sweeper and jump the track, there is usually a pond your car will land in. It has happened to several hot shoes over the years of operation. That looks like a blast. Is that track normally used for cars, or, carts? The track is designed for cars. It is the centerpiece of Pineview Run Auto & Country Club https://pineviewrun.com/. The track is one of the most technical courses I have driven. Off camber, down hill, over crest turns and such. 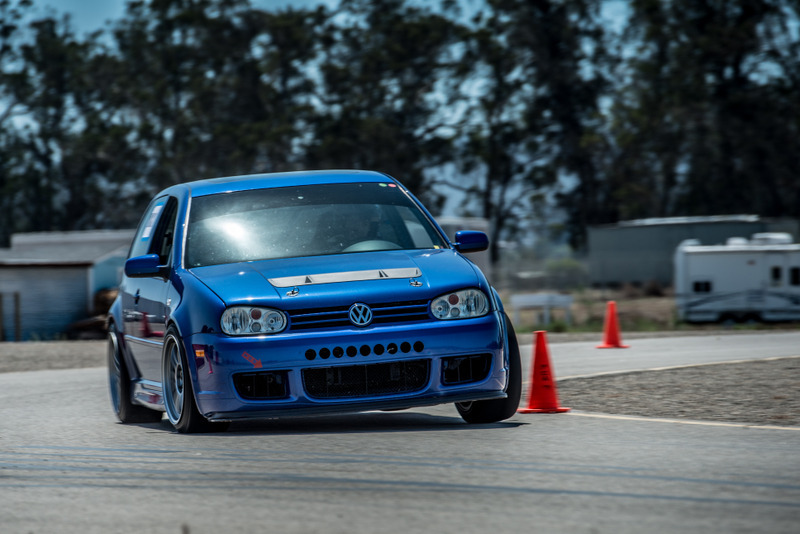 It was designed to be fun for high end sports cars (Porsches, etc. ), but still tight enough that the chance of having a heavy off at high speed is decreased. They do some instruction, including a teen winter driving program. The also have shooting sports, quads, hiking, horseback riding (I think) and other outdoor activities, but no golf or tennis! Exactly the type of place I would join if I had the money. Luckily, they are just getting started, so they do some day rentals to local auto clubs.